The fastest way to design and print professional-looking labels, envelopes, letterhead, and more with a modern user interface and wide support for over 1,500 different types of stock as well as dedicated label printer hardware. I use my trusty LabelWriter Twin Turbo daily to print postage, but when it comes to creating labels for personal or business purposes, using the included Dymo Label software is an exercise in frustration. It’s slow to open with a clunky, barebones user interface, and each major macOS update is accompanied by compatibility issues that take weeks to resolve. This frustration has led me to consider paying for a better third-party label design application. As it turns out, the list of Mac alternatives is short, and most aren’t worth the money. But I did find one that works well enough to abandon DYMO’s own software, at least for now. Despite the name, Labelist 10 ($40) does more than just print labels. 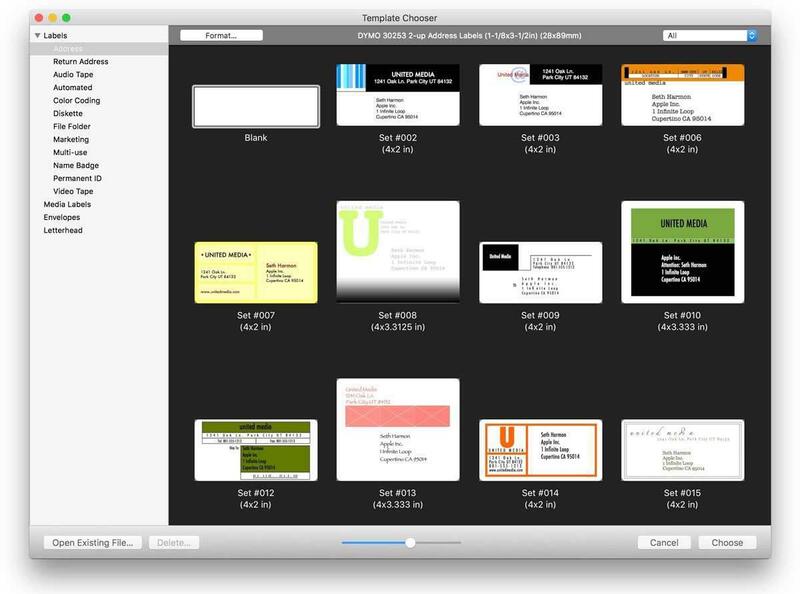 Successor to the venerable SOHO Labels, this Mac application is also capable of printing envelopes (with or without mail merge), letterhead, directly to optical discs, and a variety of related media formats including CD cases, DVD wraps, and more. If you own other Chronos software like Greeting Card Shop, getting up to speed with Labelist is a breeze. All the company’s applications offer the same familiar user interface and feature set where applicable, with design tools neatly consolidated into a right-hand sidebar, and easily navigated buttons to switch between three types of design tools. 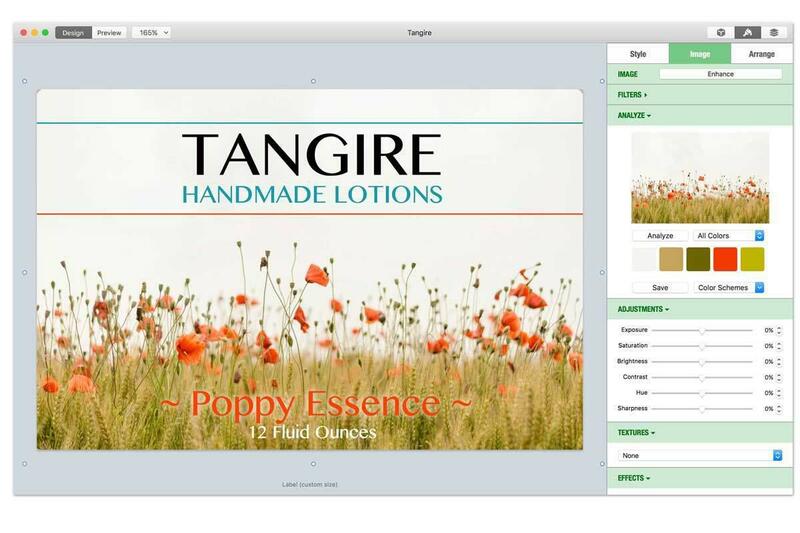 Robust tools such as layers allow Labelist 10 users to create graphically rich labels, envelopes, multimedia packaging, and more. The Objects tab includes subcategories like Text, Shapes, Artwork, and Fields, which offers barcodes, counters, and more than 350 options for incorporating data stored in your macOS Contacts. Two other options offer direct hooks into Apple’s built-in media libraries—Photos for importing images, and Playlists for artwork or metadata from iTunes. You can also save frequently-used objects into collections under the Favorites tab. Format is where users style, edit, arrange, or otherwise manipulate selected design elements. 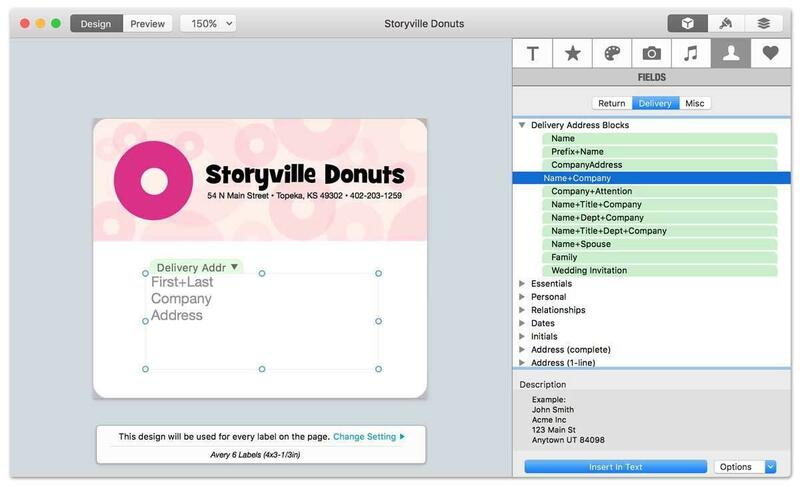 The third toolbar option, Canvas, allows users to work on designs that require multiple layers, or to otherwise tinker with display, grid, and printing options. I happen to be a fan of the Chronos “one UI fits all” approach, which works well here. What separates Labelist 10 from other Chronos applications is the unique media types the software specializes in. There’s support for over 1,500 popular stocks manufactured by Avery, Neato, and others, including the former’s latest marketing labels designed for bottles, bags, and other types of retail packaging. Likewise, Labelist 10 works with dedicated label printers manufactured by Dymo, Brother, and Seiko. Although my LabelWriter Twin Turbo is supported, choosing between the printer’s left and right label rolls can only be done from the macOS Paper Feed settings. By comparison, Dymo Label offers a convenient pulldown menu for selecting the desired roll or printing to both at once, a feature unavailable in Labelist. There are a dizzying number of ways to incorporate smart fields into your labels, which can utilize data in your mac OS Contacts. Although you choose a document format for your specific printer or label type when starting a new project, it’s easy to change on the fly and the design automatically updates accordingly. Current format and label size are displayed across the bottom of the Design window for easy reference, and you can opt to use the same design for all labels on a page, or make each one unique. There are fewer prebuilt templates compared to other Chronos applications, but the available choices are quite good. Like the recently updated PrintLife 4 and iScrapbook 7, new features exclusively revolve around color, which wasn’t as appealing for my own mostly black-and-white label needs. It’s worth noting this version requires macOS Sierra 10.12 or later, and discounted upgrades are only available for a limited time, a window that has already closed in this case. Although Labelist 10 doesn’t include as many prebuilt templates as other Chronos software, the available choices are quite good. 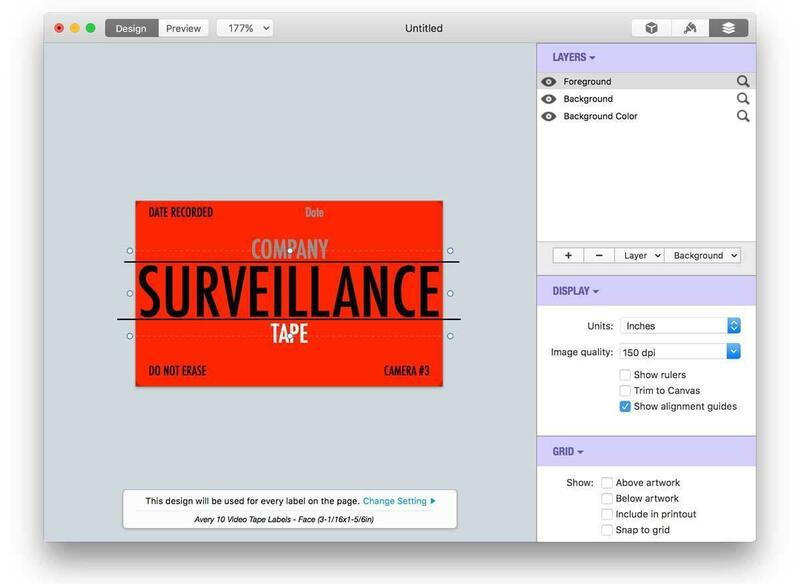 Although new features are strictly for those who print in color, Labelist 10 is still one of the best ways to design labels on the Mac. Owners of a previous version will want to hold off for the next version, however, since discounted upgrades are no longer available.